NeoShine Linux was a Red Hat-based Linux distribution developed by Chinasoft Network Technology Company in Beijing, China. Rate this project Hikarunix is an entertaining live CD featuring a comprehensive selection of the ancient Asian strategy game called Go. Version 0.4 has been released: "Announcing Hikarunix 0.4 - the free, portable Go workstation. Changes: Firefox updated to 1.0.6 with support for Chinese, Japanese, Korean fonts; Kogo's Joseki updated to 27.Mar.2005; local snapshot of Sensei's Library updated to 3.Jan.2005; GNUGo updated to 3.7.4; Jacoto 1.2.15 added as primary SGF manager; Quarry updated to 0.1.14; CGoban updated to 2.6.12; sgf2misc updated to 2.9.2; simple GUIs for easier access to sgf2misc, sgfmerger, and sgfsplit; simplified and traditional Chinese, Japanese, and Korean locales and fonts (experimental)." Read the full release announcement for further details. Download: hikarunix-0.4.iso (203MB, MD5); also available via BitTorrent. Every Go player's favourite distribution - Hikarunix - has announced a new release, version 0.3: "Announcing Hikarunix 0.3, a free (GPL) live Linux CD dedicated to learning, studying, and playing Go. Changelog: Firefox upgraded to 1.0 (with Java and Flash plugins); qGo upgraded to 1.0.0-r2; ngo upgraded to 0.1.15; GNU Go upgraded to 3.7.1; CGoban upgraded to 2.6.8; Sensei's Library Snapshot size decreased by two thirds (much lower memory footprint); Quarry 0.1.10 added; WINE removed; desktop and menu access directly to Kogo's Joseki Dictionary; desktop and menu access to start a local GNU Go game instantly; based on DSL 0.9.1 with all of its new features; menu options to upgrade CGoban, Jago, and gGo directly over the internet with Java Webstart." Read the rest of the release announcement here. Download: hikarunix-0.3.iso (191MB). Following the successful initial release of the Damn Small Linux-based live CD dedicated to players of "Go" of all levels, an updated version of Hikarunix has now been released: "Announcing Hikarunix 0.2. 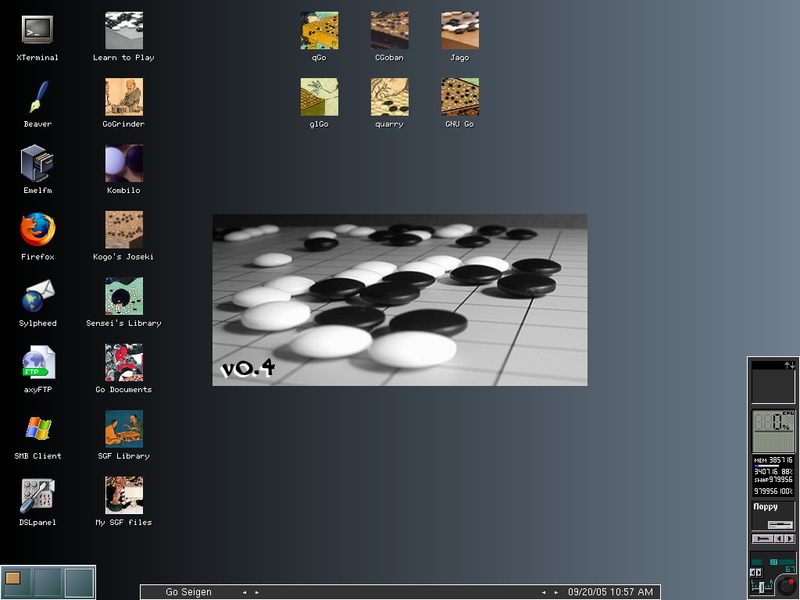 Hikarunix is a live Linux CD dedicated to learning, studying, and playing Go. New features of 0.2: qGo 2.2 added; ngo ncurses IGS client added; glGo added; full Sensei's Library Snapshot; GoGrinder with 5500 problems that actually work; GNU Go upgraded to 3.5.10; Firefox upgraded to 1.0PR (with Java and Flash plugins); WINE added for compatibility with some Windows Go software; 100% read/write to NTFS via the captive driver; kernel upgraded to 2.4.26; based on DSL 0.8.2 with all of its new features; many DSL applications returned (like Sylpheed, a mail client and Ted, an RTF editor)." See the full release announcement for more details. 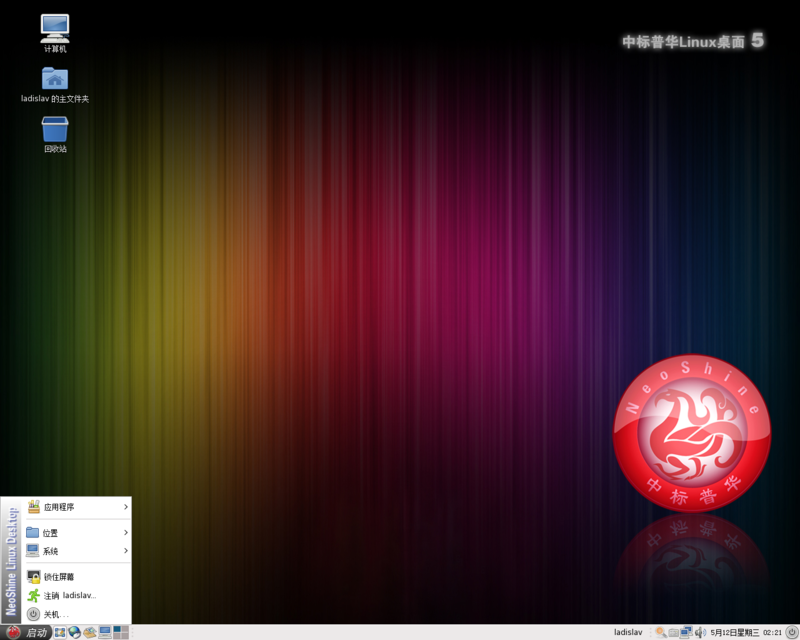 Download: hikarunix-0.2.iso (195MB).